So, a couple weeks back, I splurged and bought myself a new iPhone case. In addition to being double-layered for extra ruggedness, the case I picked out had an even cooler feature: the back of the case flips open to reveal a compartment where you can store 3 credit cards. With a single purchase, I had eliminated my need to carry around a bulky wallet, plus I got an iPhone case that better protected my phone than the previous one. 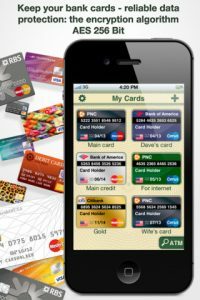 If you’re similarly looking to streamline your financial life, you might skip the expensive case and try out a more reasonably priced option:Cards on Palm, an iPhone app developed by IK Media. Cards on Palm achieves two seemingly contradictory goals: it makes your financial info both accessible and secure. 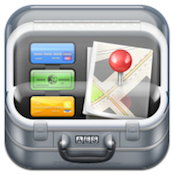 In addition to storing all of your bank and credit card info in one safe, secure place, Cards on Palm also uses your current location to direct you to the closest ATM in your area. While it might seem scary to some, storing all your account info in one place is great if you’re trying to keep your wallet slim, prevent loss of physical debit cards during travel, or have easy access to PIN numbers for cards you might not use on a weekly or even monthly basis. There’s also a spot to record the contact information for your bank, in the event you need to report a lost or stolen card. The big question, of course, is security. Cards on Palm uses reliable AES 256-Bit encryption, and all credit card data is stored on your phone. 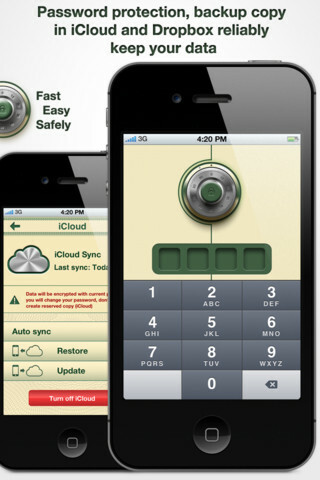 However, you have the option to backup to iCloud or DropBox if you desire. 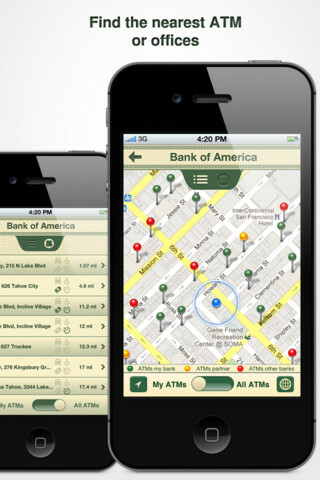 With great security, you can feel safe trying the Cards on Palm iPhone app for yourself. 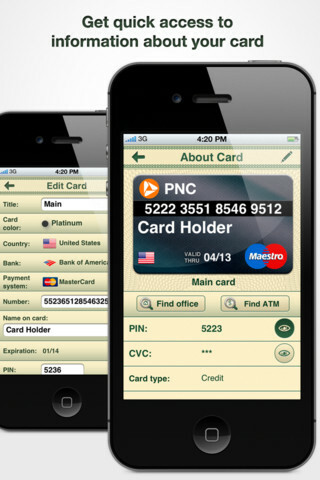 Cards On Palm : Credit Cards Wallet & ATM Finderis compatible with iPhone, iPod touch, and iPad. Requires iOS 4.0 or later.A small expedite fee was paid by the developer to speed up the publication of this iPhone app review.